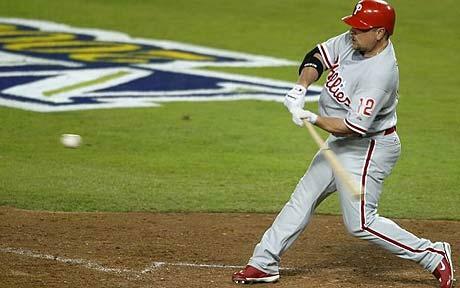 プロ野球 « Japan, Hockey, Baseball, etc. “Pro Yakyu Team wo Tsukuro Online 2” (Yakyu-Tsuku Online) is an online NPB card collecting and simulation game by Sega. It can be played for free, but you also have an option of paying 980 yen per month in order to earn more in-game points to use and unlock some goodies such as “legend” players like Boomer Wells, Koji Yamamoto, and Taigen Kaku (sorry, no Sadaharu Oh or Shigeo Nagashima in the game). The interface is entirely in Japanese, but you probably don’t need to be a Japanese wiz to enjoy the game. There’s even a handy wiki site (Japanese, obviously) answering almost any question that arises. Yakyu-Tsuku Online is not an in-browser game like CSFBL, so you’ll need to download what seems to be unnecessarily heavy and glossy client program to play the game. The client allows you to manage your team, as well as watch how your team plays out its games (you can’t make any in-game managerial decisions, that’s left up to the rather stupid AI manager, but your opponents online are in the same bag). Here’s how the game works, more or less. You’re given some random player cards to initially start the game. Each player has a “cost” that mostly matches their ability on the field. And you have a total cost (salary cap), so even if you randomly draw all these awesome player cards you can’t play them all at the same time (usually), so this actually makes the lineup decision making process more interesting, as you’re forced to decide between going with stars and scrubs or a more balanced team. You get to compete against other managers of your calibre, as there are tiered leagues on each server with the competition getting tougher and total costs rising as you rise up in ranks from Beginner to Rookie to Minor to Major to Premier leagues. Each player card expires after 2 cycles. 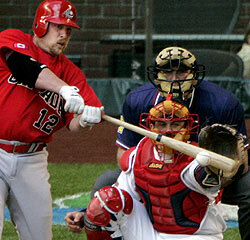 Each “cycle” consists of 3 pennant races each followed by a Champions Tournament (playoffs) all topped off by a World Tournament day at the end of each cycle. Each pennant race is 10 days long with 12 games per day that are simulated from 7:30 to 24:00 every hour and a half (120 game pennant race). Top 6 teams from Rookie leagues move up to Minor leagues, top 4 teams from Minor leagues move up to the Majors with the bottom 4 dropping down to Rookie, the bottom 6 Major teams drop down to the Minors. It makes sense to save up your points by not buying player cards during the 3rd pennnant of a cycle as newly acquired player cards then will have limited shelf life. In-game points are earned mostly by playing games, you earn more points by winning games, and for accomplishments like shutouts, no-hitters, homeruns, flashy defensive plays, etc. These points are then used to buy player cards, baseball card style by opening packs, among other in-game aids like “skills”, “game cards”, etc. But initially the most important thing will be to get a solid set of cards so that you can run out a good lineup and rotation no matter in what level league you’re in. This guy has a very useful and concise blog entry (Japanese) about how to build a moderately successful team without spending real life yen. Emphasize the rotation as starting pitchers are the most important part of the game, and don’t skimp on defence up the middle. 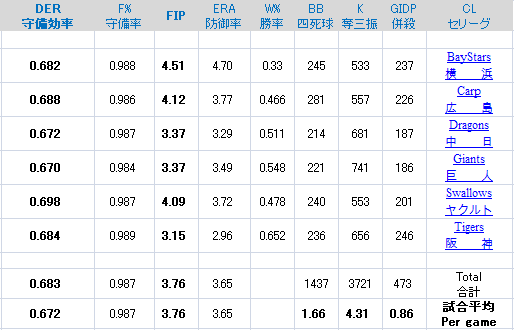 If you can, set up your entire starting rotation with over 70 stamina (体力) pitchers so that you won’t have to tap into the relatively weak bullpen (when total cost is low). 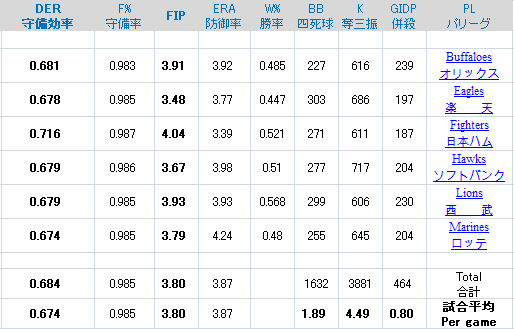 As for “skills” purchase all the skill packs when they are for pitcher control (制球力), since D level control skills can be combined to form B level skills which are useful. Enough with the game overview, here’s my thoughts after playing for about a month (1 cycle). The game has been fun so far. Low cost players tend to be low profile players (except for rookies and other young guns) so I’ve gotten rather well acquainted with some players who aren’t ready for the big show in NPB yet, and this has been neat as an NPB fan (same with learning pitchers arsenals). Yakyu-Tsuku is an old school baseball franchise (it’s a long running series on consoles), so you won’t be able to find OBP, SLG, K/9, K/BB, or WHIP (or even doubles!) which is kind of annoying. And player abilities are rated on factors such as “spirit” (精神力) and plate discipline is lumped together with bat control (巧打力). To the credit of the game, it does have a decent selection of sortable stats by which you can make lineup decisions. Player performances are also dependent upon “chemistry” which is enhanced if they’re from the same team, prefecture, etc. for batteries, lineup protection, etc. If you can get past all these funky old school stuff, then you can enjoy a decent baseball simulator that really pays off because of real life NPB players. This is not a grass roots text based in-browser game like CSFBL, instead it’s a glossy and heavy game created by a famous publisher. This comes with the benefit of NPB licensing, but also the inflexibility of needing to download a client program to play the game. As much as I enjoyed in-browser sims like hockeyarena.net, official licensing really adds flavour to the sims. And watching your own team (you can design the team logo and uniforms, some are classy while some others are total roadkill) in 3D game sims adds to the fun as well. The total cost rises by 1 every day after the final midnight sim. This means that you can be tinkering with your roster every day if you want to stay competitive. This is a great feature that keeps you logging back into the game every day. The in-game stats seem to reflect real life stats fairly well although the number of strike outs seem to be on the low end, but the number of walks is not maddeningly low like it was in the initial DS version of the game that I’ve played before.